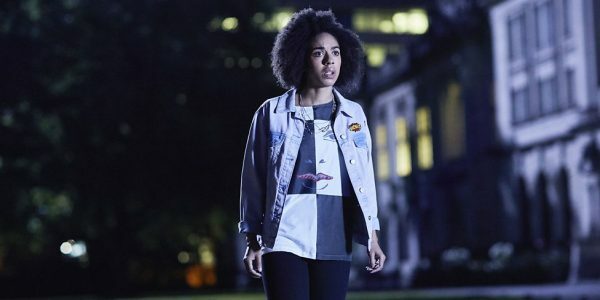 "The Pilot" kicked off Doctor Who's tenth series, which will be the final season for both showrunner Steven Moffat and Twelfth Doctor actor Peter Capaldi, by introducing new companion Bill Potts (Pearl Mackie). While Bill seems like a fun character and a welcome addition to the cast, the episode as a whole is somewhat clunky and not particularly memorable . Much of "The Pilot" is told through Bill's perspective, which helps us get a clearer sense of her character, while allowing us to experience the familiar basics of the show through a relatively fresh point of view. It's tough to come up with new ways to put a spin on "it's bigger on the inside" whenever a new companion comes along and to the episode's credit, it mostly succeeds, with Bill being a little slow on the uptake, much to The Doctor's bewilderment. 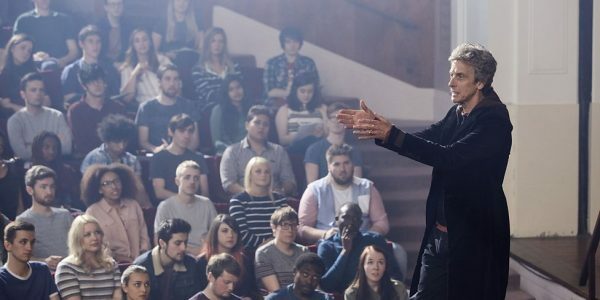 The Doctor has gone undercover as a university lecturer, picking out Bill as someone who constantly goes to his lectures despite not being a student. Why her specifically? "Whenever people hear something they don't understand, they frown. You smile," he tells her. He then gets her enlisted as a student, taking her under his proverbial wing (might soon be literal - we don't know who or what Twelve will regenerate into). The episode could have benefited more from mining this setup, as The Doctor's lecture on time was one of its better moments - as was comparing quantum physics to poetry, even though that was more of a funny aside. The media made a big deal about Bill being Doctor Who's first openly gay companion. One of the episode's strengths is that it doesn't make a big deal out of it at all - she's not singled out for her sexuality, nor is it her defining trait as a character. She's sweet, kind, and a little random at times. You can see the wonder in her eyes as she learns more and more about The Doctor's world, but there's also a fair bit of comprehension. She quickly develops a good dynamic with The Doctor (her knowledge of sci-fi tropes leads to some playfully meta lines) and the episode is at its best when it develops that relationship. "The Pilot" very much feels like a fresh start - hence the cheeky title - and a useful jumping-on point for new fans. While it's loaded with Easter eggs (cute) and continuity nods, none of them have major bearing on the plot or characters. They're there as a treat for long time viewers, while still allowing newcomers to follow the story just fine. The episode's biggest weakness is the actual plot, involving a nonsensical alien puddle monster. The creature is at its most interesting when it's pretty blatantly ripping off 2009's "The Waters of Mars," except the horror elements have been replaced with overt silliness. The episode even tries to make a puddle of water slowly moving towards our characters looks menacing, which is just sad. The backstory of the creature makes no sense and has The Doctor jumping to ridiculous conclusions. Worst of all, the episode tries to build some kind of meaningful emotional connection between Bill and the monster, which rings completely hollow and undermines most of the final scenes. 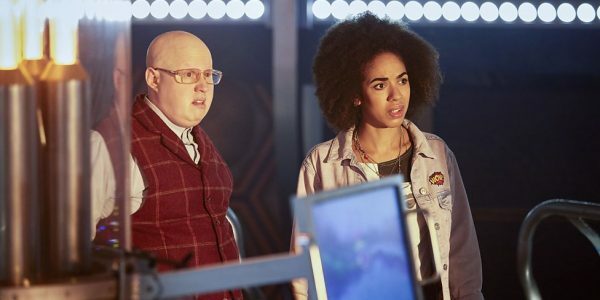 Nardole (Matt Lucas) is still a bizarre addition to the cast. He's ostensibly little more than the comic relief, which is fine, but considering The Doctor and Bill already have a fair amount of banter going on, it's hardly a vital or particularly interesting role to play. He gets a few good laughs, but there's no clear sense of how the show plans to utilize him. Overall, "The Pilot" is a rocky, but amicable start to the tenth series. It's good where it counts, handling the introduction of Bill Potts well and setting up her dynamic with The Doctor. The plot is nonsense even by Who standards, but it's not really the focus, so it doesn't hurt the episode quite as bad as it could have.